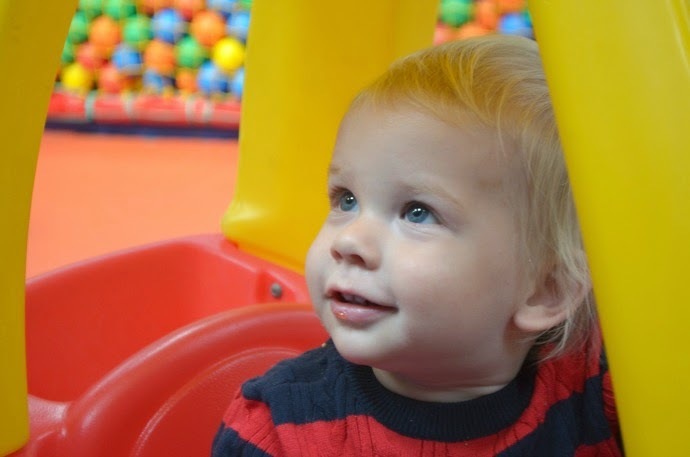 I have to admit to being a soft play convert. 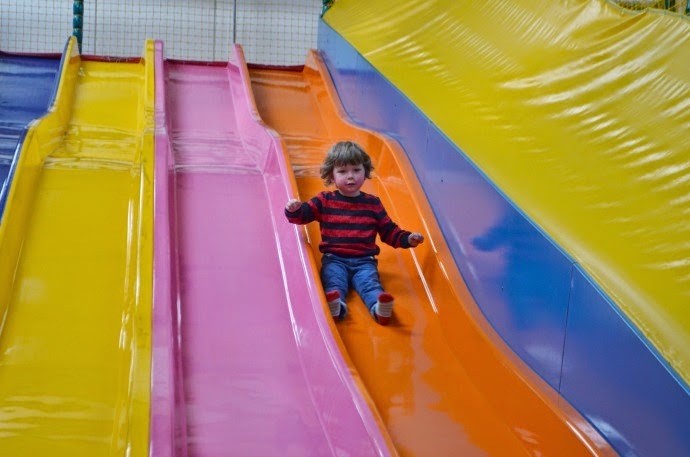 Whilst we still love days out at the park and the beach, there are times when soft play is exactly what we need - a secure space to climb and explore (with coffee and cake). 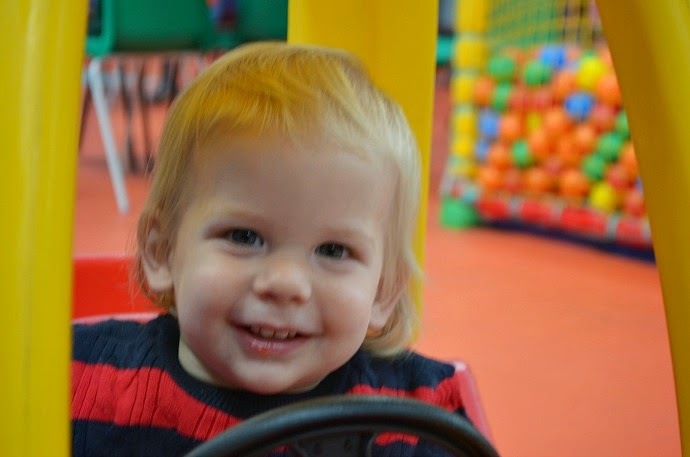 Soft play is still a treat rather than a regular thing, but the boys love it and it really encourages Dylan with his climbing and co-ordination. The most well used phrase whilst we are there though? 'Let's have an adventure'. 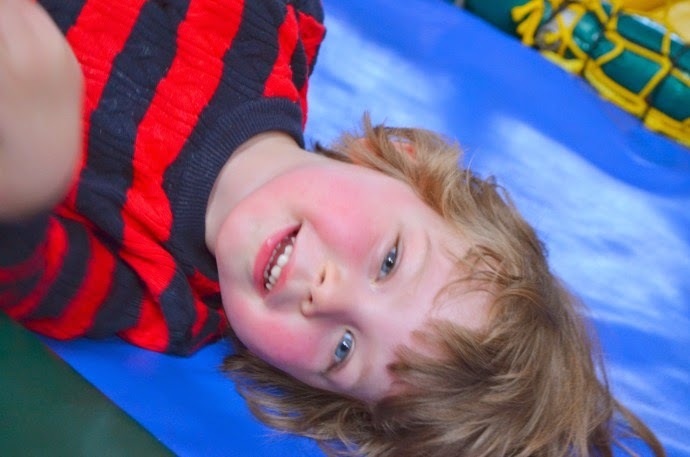 Dylan's imagination is an amazing place, and as he climbs, rolls and slides, he is always on an adventure. He has always been happy with his own company, and he can go off for a long time exploring on his own, but he is at the age where he wants to play with other children, and he always seems to make friends with random children. 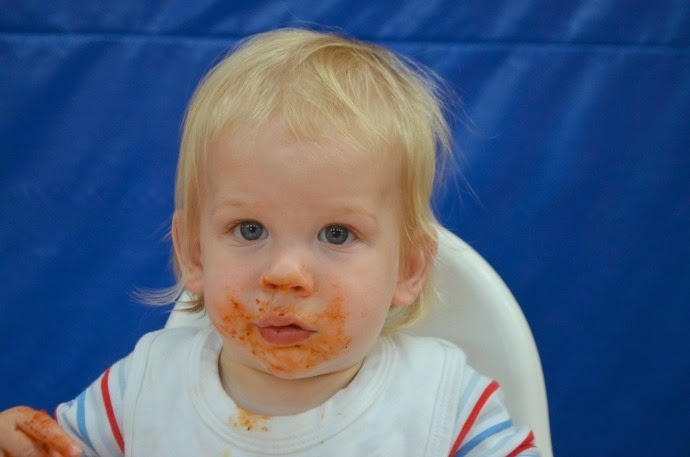 Archie is still oblivious to other children, but is very interested in other parents, especially if they look like they may have food with them. 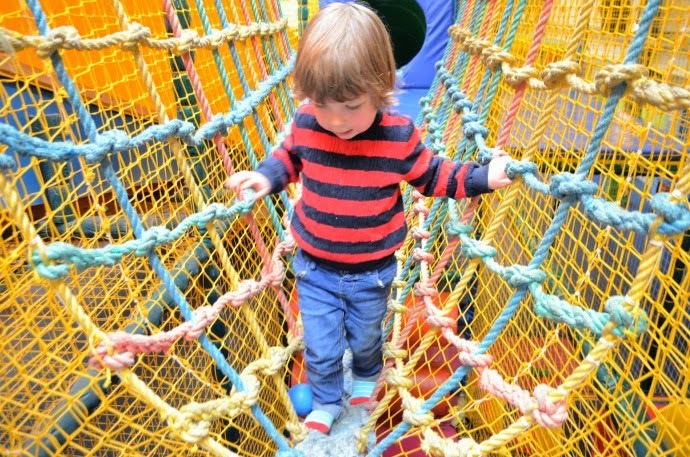 He is a little monkey and has no trouble scaling the climbing frames, and navigating the whole place on his own. He is a daredevil and loves going down the biggest slides, especially if he is on his tummy. Sometimes we all do our own thing, some days we go on adventures together, racing around, playing I spy and hide and seek. We usually go in the morning and I am treated to a nice long afternoon nap, but this time our adventures were in the afternoon and two little boys were incredibly tired by the time 7pm hit! I love Dylan's imagination and sense of adventure. I love his innocence, the way he approaches everything with such positivity. I love the smiles on both boys faces as they race around, barely stopping for a drink of water before something else needs to be climbed. I am definitely a soft play convert. And what a great adventure it looks like you had. So lovely. I love taking my kids to soft play areas. So much fun and something for everyone to enjoy even momma!!! Lovely post. I love the photos of your adorable ones. So cute. Every visit to the park involves an adventure too! It is fab Kara, we will have to take the kiddies sometime!